The Boundless Thicket: DMT: A Neurotransmitter for the Human Soul? 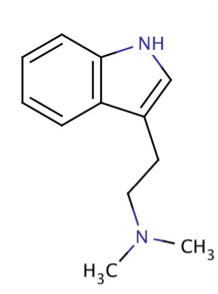 DMT, or N,N-dimethyltryptamine is a small non-polar molecule of relatively simple origins that can cause profoundly powerful effects on human consciousness. The compound itself is only three mechanistic steps away from its humble derivative, the natural amino acid tryptophan. Biosynthesis of DMT begins first with the decarboxylation of L-tryptophan by an aromatic amino acid decarboxylase, which produces tryptamine. 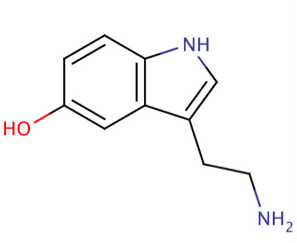 A methyl group is then transferred from cofactor S-adenosyl-methionine (SAM) to tryptamine via a nucleophilic attack that is catalyzed by the enzyme indoethylamine-N-methyltransferase (INMT). 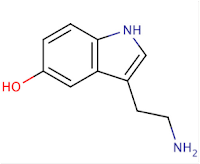 The resulting intermediate product (N-methyltryptamine) is then again transmethylated by INMT using a methyl group taken from another molecule of SAM. Decarboxylation and two transmethylation reactions of tryptophan thus produces this incredibly powerful and potent drug that has been revered by many cultures as the mother of all hallucinogens. 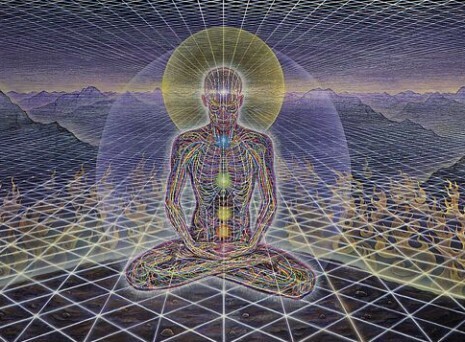 What many don’t realize, however, is that DMT is present in all of us. There is a significant amount of it found in plants such as the acacia genus, or mimosa shrub, and trace amounts have been found in mammals. It’s not surprising, seeing as its derivative tryptophan is so common, but its presence in our bodies has sparked tremendous interest from biologists and psychologists to mathematicians and physicists. In 1965, German researchers H. Gross and F. Franzen first claimed that they had discovered the presence of endogenous DMT in mammalian blood and urine, though their findings were widely disputed. Then in 2005 a more modern study was done using liquid chromatography-tandem mss spectrometry, a much more selective, sensitive and generally supported method for detecting DMT. In this study scientist found evidence of endogenous DMT present in Human, Rat and Rabbit tissue. While DMT’s presence and method of biosynthesis is mostly clear and confirmed, its purpose for existence is not. Though there is much research that needs to be done on this, the fact remains that DMT exists in our bodies along with all the necessary catalysts, cofactors and starting materials needed to synthesize it, but why? 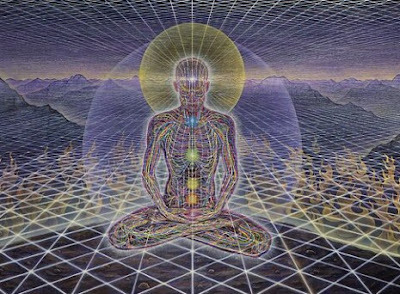 From a physiological standpoint it has been suggested that DMT might function as a neurotransmitter, as it is very similar to the established neurotransmitter serotonin. Still others believe that this powerful chemical is released during meditation and is in fact the substance responsible for eliciting natural mystical phenomena in people. But then there is the popular, yet still unproved, hypothesis that this molecule is released in our brains during dreams or near-death experiences. This could possibly explain the intense imagery that individuals experience on a nightly basis during dreams, or that survivors of near-death experiences describe. 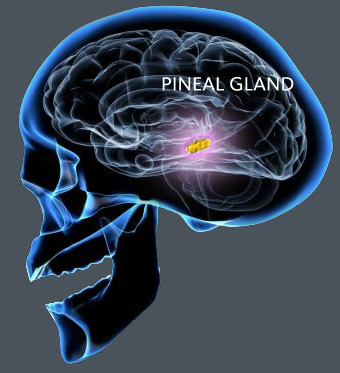 This gland may be responsible for the production of DMT as well as melatonin (a derivative of serotonin). Shown above is the structure of melatonin. In mammals both melatonin and serotonin are produced from the essential amino acids tryptophan. Melatonin is four enzymatic steps away from tryptophan, with serotonin being the product of the second step. If this gland does in fact secrete DMT while we sleep and cause us to dream, then what is the purpose of this secretion? What could be the evolutionary purpose of having a part of the brain that facilitates these otherworldly, mystical experiences? No one knows for certain why we dream, and why our excursions into such chaotic and mystical dreamscapes are so important. Could it be that the regular release of such a powerful hallucinogen gives us a nightly glimpse into an entirely different level of consciousness? In 1990 Dr. Strassman began a five year study of the effects of N,N-dimethyltryptamine, the first government-sanctioned look into DMT in over 20 years. Strassman’s approach focused on administering DMT to patients then measuring as many variables as possible. To begin, sixty volunteers were gathered in a hospital in New Mexico, blindfolded, and given varying doses of the drug. The subjects selected for this study reported varying levels of past experience with psychedelic substances, and were given varying levels of doses accordingly. Patients’ vitals were closely monitored throughout the experiment, and they were then interviewed after the effects had worn off. Over the course of the five year study, Dr. Strassman administered over 400 doses of N,N-dimethyltryptamine to his 60 volunteers. In the end he discontinued the study without proving or disproving his theories that DMT played a role in dream creation. He stopped studies primarily for moral reasons, as he simply could not explain what was happening to these people or why. He notes in his book that he felt as if he were ‘pushing people off a cliff, without knowing what was happening to them, or why it was happening’ and that he could indeed be tinkering with something that could simply be spiritual. Many of the views on DMT are skeptical at best, but the fact remains that this mysterious compound exists in plants, in us and in most, if not all, of our mammalian relatives. If it serves no function then why, from an evolutionary standpoint, have we retained this drug that induces all kinds of out-of-mind experiences in our bodies through millions of years of divergent evolution? Currently we really have no idea what its real purpose may be, but there are so many interesting possibilities and questions that DMT’s mere presence and potential raises. Could this be a link that ties us, and all life around us, to something that lies beyond what we know of the physical world? We as humans have the ability to live a physical and spiritual existence. We have a body and perhaps a soul. Could this simple drug be the link capable of tying these two together? Could this be the door to our future evolution? Or is this just a simple neurotransmitter whose existence has been taken entirely out of context? We may never truly know. Strassman, Rick. "DMT: The Spirit Molecule." Rick Strassman MD. Web. 30 Apr. 2012. <http://www.rickstrassman.com//index.php?option=com_content&view=article&id=59&Itemid=74>. Fontanilla, Dominique. "The Hallucinogen N,N-Dimethyltryptamine (DMT) Is an Endogenous Sigma-1 Receptor Regulator -- Fontanilla Et Al. 323 (5916): 934 -- Science Signaling." Science/AAAS. 2009. Web. 30 Apr. 2012. <http://stke.sciencemag.org/cgi/content/abstract/sci;323/5916/934>. Hanna, Jon. "Erowid DMT Vaults : DMT and the Pineal: Fact or Fiction? by Jon Hanna." Erowid. 29 June 2010. Web. 30 Apr. 2012. <http://www.erowid.org/chemicals/dmt/dmt_article2.shtml>. DMT: The Spirit Molecule. Dir. Mitch Schultz. Perf. Rick Strassman and Joe Rogan. Spectral Alchemy, Synthetic Pictures, 2010. DVD. Meyer, Peter. "Apparent Communication with Discarnate Entities Induced by Dimethyltryptamine (DMT)." Erowid. 23 Aug. 2010. Web. 30 Apr. 2012. <http://www.erowid.org/chemicals/dmt/dmt_writings2.shtml>. Intriguing topic. It takes just a few short steps to get from a common amino acid to this mysterious neurotransmitter. I'd be interested to know if serotonin and melatonin are synthesized using some of the same or similar cofactors. If so, perhaps DMT was initially produced as a minor product of those reactions, an accident of sorts? I was also curious about the dosages of DMT that they administered in the trials. How do they compare to basal levels found in humans, particularly those found during sleep?